According to the Illinois State Board of Elections, Brendan A. O'Brien withdrew last Friday from the race for the countywide Connors vacancy. O'Brien's departure leaves two candidates in that race, Kristal Rivers and Judge Peter J. Vikelis. 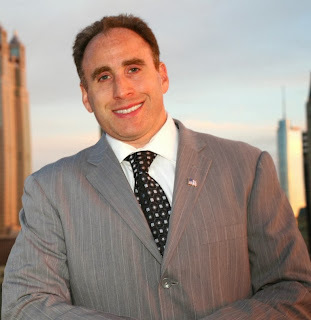 CAN-TV producer Tony Joyce has given me permission to re-post the Election 2014 interviews of Cook County judicial candidates that he has has recently posted on the YouTube IssueForum channel. Here, Carolyn Joan Gallagher, candidate for the countywide Neville vacancy, is interviewed by attorney Kristopher Anderson. A campaign website has been established to support the candidacy of Associate Judge Marianne Jackson, candidate for the Taylor vacancy in the 7th Subcircuit. That's a link to the site in the preceding sentence; a link has also been added to the blog Sidebar. 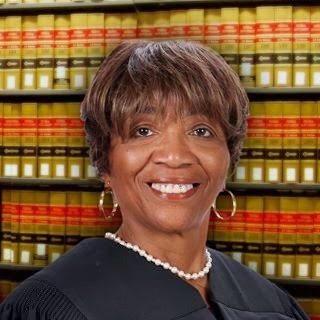 Judge Jackson presently serves in the Juvenile Justice Division of the Circuit Court; according to the Circuit Court's website, Judge Jackson currently presides over Calendar 61 at 1100 S. Hamilton. According to her campaign website, Judge Jackson has been an Associate Judge since 1997. Before going on the bench, Jackson was in private practice for about 18 years. Before that, she was an Assistant U.S. Attorney for the Northern District of Illinois. She began her legal career as an Assistant State's Attorney. Jackson is a 1970 graduate of Northwestern University; her law degree, from the University of Illinois, was conferred in 1973. Among numerous honors conferred in the course of her career, Jackson's campaign website notes her receipt, in 1999, of the Community Empowerment Award from Catholic Charities of the Archdiocese of Chicago, and the 2013 James A. Seaberry Award of Excellence conferred by the Black Law Students Association of the University of Illinois. Supporters of Patrick Kevin Coughlin's bid for the Doody vacancy in the 15th Subcircuit are holding a fundraiser for their candidate on February 5, from 6:00 to 8:00 p.m., at Lizzie McNeill's Irish Pub, 400 N. McClurg Ct.
Appetizers are included in the ticket price, and an open bar. Tickets for the event will be available at the door or through the campaign website. Tickets are $75 apiece, but sponsorships are available (Friend - $150, Supporter - $250, Patron - $500, Benefactor - $1,000). Persons needing additional information about the fundraiser, or who have any questions, should email coughlinforjudge@comcast.net. Here, Judge Andrea Michele Buford, candidate for the countywide Veal vacancy, is interviewed by Metropolitan Water Reclamation Commissioner Frank Avila. Commissioner Avila is a candidate for reelection to the MWRD; like Judge Buford, he is endorsed by the Cook County Democratic Party. So Robert Feder reports this morning. Feder writes, "some Sun-Times insiders expressed relief that they’d be skipping the primary because they feared Wrapports chairman Michael Ferro Jr. might exercise his prerogative to force the endorsement of Bruce Rauner, who sold his 10 percent stake in Wrapports before he became a Republican candidate for governor." On the other hand, Feder notes, "[f]or those who favor endorsements, the issue isn’t so much influencing the high-profile races at the top of ballot as it is evaluating candidates for lesser races whose qualifications voters rarely have the time or resources to examine." The judicial races for instance. Because you're reading FWIW, you may not care whether the Sun-Times endorses candidates or not: You're making time and taking time to examine the qualifications of judicial candidates; you don't rely on any newspaper to do this for you. But you also know that many of your friends and neighbors are not doing this. The Sun-Times endorsement (any newspaper endorsement) may be influential and helpful for them as they go to the polls in March. A newspaper endorsement may be just another check-mark on the list for candidates who enjoy wide support, but it may also provide credibility and 'traction' for a candidate who is not as well known. I remember when the Sun-Times cost 35 cents and averaged 100 pages. Robert Feder was there in "the Bright One." Now the Sun-Times costs 100 cents and is running dangerously close to 35 pages every day, even with three pages of comics. Robert Feder is off on his own website. Yet the Sun-Times still claims to be, and still aspires to be, a major metropolitan newspaper. How, then, can it persist in the dereliction of a newspsper's fundamental duty? There are interesting aspects in both these cases and I hope to get back to the decisions in these cases in more detail. For now, though, suffice it to say that the Cook County Electoral Board late last week sustained objections to the nominating papers of Mable Taylor, candidate for the Hardy-Campbell vacancy in the 7th Subcircuit, and Judge Allan W. Masters, candidate for the Jordan vacancy in the 12th Subcircuit. Unless either case is successfully appealed, neither Taylor nor Masters will be on the March primary ballot. Taylor's removal leaves Robert D. Kuzas unopposed in the race for the Hardy-Campbell vacancy. I did not previously have his campaign website linked, but I found it this morning and it has been added to the blog Sidebar. Kuzas touts his experience as both a lawyer and police officer on his site and notes that he has been on the Board of Directors of the Jesse White Tumblers for 17 years (he also claims the Secretary of State's endorsement). In addition, Kuzas notes that he offers bilingual services to his clients in both Spanish and Polish. He has been licensed in Illinois since 1989. The removal of Judge Masters from the ballot in the 12th Subcircuit race leaves four candidates, Samuel Bae, Ralph Eugene Meczyk, James Edward Hanlon, Jr. and Judge James L. Kaplan. I am waiting for an official ruling as to whether we are currently struggling through Polar Vortex II or III but I can recall with some certainty that it was Polar Vortex I that put the kibosh on the January 6 funrdaiser for 9th Subcircuit candidate Anjana Hansen (Meyer vacancy). Hansen's supporters have announced that the fundraiser has now been rescheduled for Tuesday, February 11, from 5:00 to 6:30 p.m., at the offices of Shefsky & Froelich (now in the process of becoming the Chicago outpost of Taft Stettinius & Hollister LLP), 111 E. Wacker Drive, Suite 2800. Here, Judge Cynthia Y. Cobbs, candidate for the countywide McDonald vacancy, is interviewed by Metropolitan Water Reclamation Commissioner Frank Avila. Commissioner Avila is a candidate for reelection to the MWRD; like Judge Cobbs, he is endorsed by the Cook County Democratic Party. Supporters of Judge Jerry Esrig, a candidate for the Goldberg vacancy in the 9th Subcircuit, are planning a cocktail reception for their candidate on Monday, February 3 from 5:00 to 6:00 p.m. at the law offices of Robinson Curley & Clayton, P.C., 300 South Wacker Drive. No minimum contribution has been specified for this event (the maximum contribution is set by law) but persons wishing to attend must call Lori Sellers at (312) 663-3100 or email her at lsellers@robinsoncurley.com. There are a couple of cases yet to be decided, specifically cases concerning the fate of Judge Allen W. Masters' petitions to run in the 12th Subcircuit, and Mable Taylor's petitions to run for the Hardy-Campbell vacancy in the 7th Subcircuit. These cases will come before the Board again later today. But the work of the Electoral Board is complete, now, in all other judicial cases. Carolyn Kennedy-Elkins was ruled off the ballot on the grounds that she signed a nominating petition for a Republican judicial candidate (who has since withdrawn from the race for the Iosco vacancy in the 13th Subcircuit). The problem was that Kennedy-Elkins wanted to run as a Democrat in that same race, but -- under §7-10 of the Election Code, 10 ILCS 5/7-10, and under the authority of Rosenzweig v. Illinois State Board of Elections, 409 Ill.App.3d 176 (1st Dist. 2011) (interpreting an identical provision in §8-8 of the Election Code that applies to candidates for the State legislature) -- was no longer a "qualified primary elector" able to run as a Democrat. A seemingly innocent act of common courtesy was deemed to have fatal consequences for the candidate. Assuming there is no court challenge to the Electoral Board's action, or if such a challenge should prove unsuccessful, the winner of the Republican primary for this one seat (John Curry or Gary W. Seyring) will be virtually assured of election in November; no one else filed to run in the Democratic primary in that race. In the race for the O'Neal vacancy in the 2nd Subcircuit, both candidates survived challenges to their petitions. The challenge to Nyshana K. Sumner's petitions were withdrawn; the objections made to the papers filed by Steven G. Watkins were overruled. In the 4th Subcircuit (Mulhern vacancy), Martin D. Reggi survived a challenge to his petitions. His sole opponent in that race is John Michael Allegretti. Every candidate in the race for the Taylor vacancy in the 7th Subcircuit survived a petition challenge. The challenge to the nominating papers of Judy Rice was withdrawn, the challenges against Owens J. Shelby and Marianne Jackson were overruled. As a matter of vocabulary, the withdrawal of a challenge certainly ends the matter; unless a candidate chooses to voluntarily withdraw from a race, the candidates against whom challenges have been withdrawn will appear on the ballot. Where a challenge is overruled (or sustained), however, the losing party has a right of judicial review. FWIW has not yet learned of any pending judicial challenges to the actions taken so far by the Cook County Electoral Board, but that does not mean that none have been filed. I will of course advise if any filings are called to my attention. Supporters of Judge Andrea Michele Buford's bid for the countywide Veal vacancy are planning a fundraiser for their candidate on Sunday, January 26, from 2:00 to 5:00 p.m. at the Chicago home of Harriet and Daniel Parker. Tickets for the event are $50 each, but sponsorships are available ($75 - patron, $100 - sponsor). For more information about the event, or to order tickets and obtain directions to the Parker home, please email Celestia Mays. Judge Buford was appointed to the Veal vacancy by the Illinois Supreme Court and has been slated by the Cook County Democratic Party. 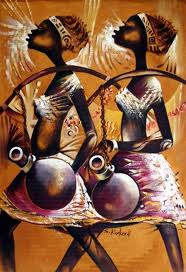 Harriet Parker, one of the event hosts, is a Chicago attorney; her husband, Professor Daniel T. Parker, the other event host, is, according to the Buford campaign, a "renowned Black Fine Art collector, African Art professor and author." According to my archives, the accompanying illustration is taken from Parker collection. Eleventh Subcircuit candidate Scott Michael Kozicki was a guest at a recent taping of Avy Meyers' North Town News Magazine and his interview has now been posted online. Kozicki's interview will air between January 30 and February 3 on CAN-TV in Chicago and on various cable systems in the suburbs. Check your local listings for air times. Meanwhile, with the permission of NTNM host and moderator Avy Meyers and his entire technical crew Sonny Hersh, you can watch the interview here. Supporters of 9th Subcircuit candidate Thomas M. Cushing (Preston vacancy) announced today that they raised more than $48,000 in contributions, $28,000 of that amount in the last quarter of 2013. The campaign reported to the Illinois State Board of Elections that it had more than $31,000 cash on hand at year-end. Cushing campaign manager Sam Hensel advises that Cushing has more money on hand than any of his competitors for that vacancy. FWIW looked at the year-end "D-2" reports filed with the Illinois State Board of Elections on behalf of each of the five candidates for the Preston vacancy. That examination confirmed that Cushing is indeed the money leader in the race for the Preston vacancy. According to his campaign's D-2, the Cushing campaign had $31,551.25 on hand at year-end. The $28,300 raised by the campaign in the 4th Quarter of 2013 is significantly more than any of the other campaigns raised during that same time period. In other ways, however, the money gap is not as great. Judge Michael Francis Otto's campaign raised only $4,915.00 in the fourth quarter, according to the D-2 filed by Otto's campaign committee, but the Otto campaign had $27,644.14 on hand at the end of the reporting period. Abbey Fishman Romanek's campaign raised $20,189.00 in the last quarter of 2013. According to the D-2 filed by Romanek's committee, after expenditures of roughly $3,000, Romanek's campaign had $22,348.55 in the till on December 31. Michael Alan Strom's campaign raised $13,377.17 in the 4th Quarter of 2013, according to the D-2 filed by his campaign, but the Strom campaign had almost $19,000 on hand at the beginning of the reporting period. Strom's campaign spent the most of any of these campaigns in the fourth quarter ($17,322.73), leaving $15,036.72 on hand at year end. Brian Alexander's campaign apparently just began fundraising in the fourth quarter of 2013. According to the D-2 filed by the Alexander campaign, the campaign had no money on hand at the beginning of the quarter, but $10,200 was raised during the reporting period. Supporters of 10th Subcircuit candidate Anthony Kyriakopoulos are planning a fundraiser for their candidate on Thursday, January 23, from 4:30 to 6:30 p.m., at 312, 136 N. LaSalle Street. The suggested donation for the event is $100, but sponsorships are available ($250 - Supporter, $500 - Friend, $1,000 - Sponsor). Charlie and Virginia Beach and Mary Cay Marubio are hosting the affair. For more information, or to order tickets, please email Mary Cay Marubio. I don't get stuff up immediately -- sometimes I actually have to engage in the practice of law -- but, if you're waiting patiently... then impatiently... and seeing no post on the event you sent in, it may be because you got stuck in the spam filter along with the notifications about all the European lotteries I've won simply by having an email account and all the generals' widows and sheiks' daughters who want my help in moving millions of dollars into the United States. I do check the spam folder periodically, just in case, but browsing through the spam is generally not my top priority. I can make no warranties or promises that I'll catch stuff that gets stuck there. I'm in Sullivan's. I have voice mail. But -- please -- give me a day, at least, OK? 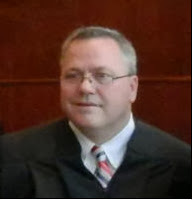 Judge Chris Lawler is a candidate for the Sterba vacancy in the 15th Judicial Subcircuit. His punch number is 176. Before being appointed by the Illinois Supreme Court as a Judge of the Circuit Court of Cook County and sworn in on July 8, 2013, I was a trial attorney for 25 years. 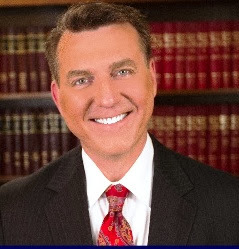 I represented both plaintiffs and defendants in all types of personal injury matters. Due to my extensive jury trial experience, I was invited to become an Associate Member of the American Board of Trial Advocates (ABOTA). My experience trying plaintiff and defense cases also resulted in my being appointed as the Independent Arbitrator by my colleagues on numerous arbitration files. My courtroom and arbitration experience gave me the knowledge and training that I have been using on the Bench to make very difficult rulings in both civil and criminal matters. In the 6 months that I have served in the Markham Courthouse, I have handled various civil matters including personal injury, joint actions (evictions), collections, and paternity cases. I have also heard criminal matters including traffic, misdemeanor, and domestic violence cases. Unlike in my law practice, the majority of the people appearing before me have not been represented by attorneys. I believe that I have demonstrated the required skills and knowledge that justify the "well qualified" rating that I received from Supreme Court Justice Anne Burke's Judicial Evaluation Committee; as well as the ratings of Qualified, Recommended, and Highly Qualified that I received from all the participating Bar Association groups who reviewed my credentials. I also believe that my involvement in the communities where I live and work has provided me with a vast knowledge of the needs of the people who appear before me. For the past 11 years, I have been a member of the Catholic Charities Board of Directors and Board of Advisors. I also serve as the Division Chair for Child, Youth & Family Services and I am a member of the Family & Parish Support Committee. My wife and I were also past Presidents of the Adoptive Parents' Guild of Catholic Charities. 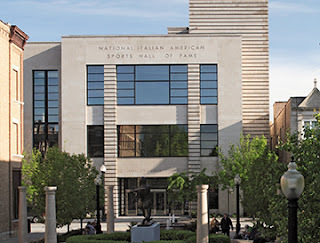 I have been a member of the Board of Directors of Marist High School in Chicago for the past 9 years and served as Chairman of the Board from 2008 - 2013. I continue to serve on the Executive Committee for Marist's President. My family and I volunteer with and financially support the Maple/Morgan Food Pantry. I feel that my continued involvement in the communities where I live and work has given me an awareness of the needs of the people that appear before me and an appreciation for the issues and problems facing the people in the areas that I serve. I want to continue to serve as a Judge of the Circuit Court of Cook County. For the majority of the people who appear before me, this will be their only legal experience and exposure to our Court system. I try to make sure that the people who appear before me feel that they have been treated fairly and with the respect that they deserve and that I would hope to receive. Even though some of them may not be happy with my rulings and decisions, I hope that they feel that I have allowed them to have their say, listened to their arguments, and made a ruling based on the law. Supporters of 15th Subcircuit candidate John S. Fotopoulos (Doody vacancy) are planning a January 22 fundraiser for their candidate, from 6:00 to 9:00 p.m., at Gibsons, 2015 South Spring Road, in Oak Brook. The suggested donation for the event is $125. For more information, or to order tickets, call (630) 373-2504. Countywide judicial candidate Kristal Rivers (Connors vacancy), was a guest at a recent taping of Avy Meyers' North Town News Magazine and her interview has now been posted online. Rivers' interview will air between January 23 and 27 on CAN-TV in Chicago and on various cable systems in the suburbs. Check your local listings for air times. Meanwhile, with the permission of NTNM host and moderator Avy Meyers and his entire technical crew Sonny Hersh, you can watch the interview here. The Illinois Supreme Court today elevated Circuit Court Judge Laura Liu to the Appellate Court. Technically, Justice Bertina E. Lampkin, a Circuit Court judge who serves on the Appellate Court pursuant to Supreme Court appointment, was appointed to the vacancy created by the sudden death of Justice Patrick J. Quinn. (Justice Lampkin will, however, retain her current caseload in the Sixth Division.) Judge Liu is being assigned to the vacancy created as a result of Justice Lampkin's reassignment; Judge Liu will, however, assume Justice Quinn's caseload in the First District's Second Division. Judge Liu will remain a Circuit Court judge during her assignment to the Appellate Court (at any given time roughly one quarter of the First District's justices are Circuit Court judges assigned to the Appellate Court by the Illinois Supreme Court). Judge Liu's assignment, and Justice Lampkin's, runs from February 3 through December 5, 2016. The Chicago Federation of Labor today announced its endorsements for the upcoming March primary. 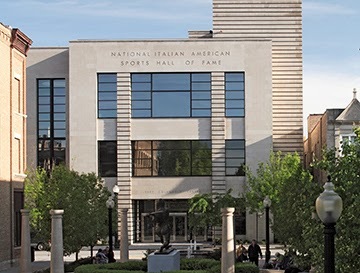 Supporters of Linda Mastandrea are planning a fundraiser for their candidate on January 30, from 6:00 to 8:00 p.m., at the National Italian American Sports Hall of Fame, 1431 West Taylor Street. Tickets are $125 apiece, but sponsorships are available (Bronze Medal Sponsor - $500, Silver Medal Sponsor - $1000, Gold Medal Sponsor - $1500). For additional information about the event, or to purchase tickets, click here or visit this page of the candidate's campaign website. Supporters of 9th Subcircuit candidate Michael Francis Otto(Preston vacancy) are planning a fundraiser for their candidate on Thursday, January 16 from 5:30 to 7:30 p.m. at Petterino's, 50 W. Randolph. Tickets for the event are $100 apiece, and sponsorships are available ($250 - Supporter, $500 - Sponsor, $1,000 - Host). For more information about this event, or about a January 26 event (to be held at a supporter's Evanston home), call or email Christina at (708) 804-0027 or electjudgeotto@gmail.com. Twelfth Subcircuit candidate James Edward Hanlon, Jr. (Jordan vacancy), was a guest at a recent taping of Avy Meyers' North Town News Magazine and his interview has now been posted online. Hanlon's interview will air between January 23 and 27 on CAN-TV in Chicago and on various cable systems in the suburbs. Check your local listings for air times. Meanwhile, with the permission of NTNM host and moderator Avy Meyers and his entire technical crew Sonny Hersh, you can watch the interview here. Nichole C. Patton has dropped her bid for the Gordon vacancy on the Appellate Court, filing a notice of withdrawal earlier this week with the Illinois State Board of Elections. Also dropping out of her race for the countywide Reyes vacancy was Maureen O'Donoghue Hannon. Patton's withdrawal leaves three candidates for the Gordon vacancy, Justice Shelly A. Harris, and Judges Susan Kennedy Sullivan and Freddrenna M. Lyle. Hannon's withdrawal leaves slated candidate Diana Rosario in a likely one-on-one tilt with Stephen J. Feldman. A fourth candidate for the Reyes vacancy, Gregory LaPapa, was potentially removed from the ballot yesterday afternoon, when the Cook County Electoral Board sustained one of the two pending objections to LaPapa's candidacy. Readers should keep in mind that actions of the Board are not necessarily dispositive; while review is not sought in many cases, candidates and objectors can and sometimes do seek review of the decisions of the Electoral Board in the courts. Sustained the objection to James I. Marcus's petitions to run as a Republican for the Jordan vacancy in the 12th Subcircuit. The Electoral Board also assigned a couple of matters out to a hearing officer. Circuit Court hopeful Mary Alice Melchor (Neville vacancy) was a few hundred signatures safely above the minimum after the records examination, but the objector in that case is also pursing objections to the qualifications of a couple of persons circulating petitions for Melchor. If the objection is sustained to one of these circulators, Melchor's valid signature total will fall below the minimum required to appear on the ballot. The Electoral Board received testimony from that circulator Friday afternoon, in which she affirmed her residence at the address provided on her circulator's affidavit, providing copies of her voter's registration and driver's license to buttress that assertion. The matter was assigned to a hearing officer at the objector's request, with the objector reserving cross-examination of the circulator. While this objection may appear unfounded on the basis of the direct testimony received, there is another objection pending to Melchor's candidacy; there may, therefore, be some strategic reason for keeping this objection alive. A closer question may be involved in the objections to Judge Allen W. Master's nominating petitions in the race for the Jordan vacancy in the 12th Subcircuit. Masters stands 88 signatures shy of qualifying for the ballot after the records examination, but the candidate's objections to the determinations of the records examiner (Rule 8 objections) were referred to a hearing officer. The Electoral Board meets again on Monday afternoon. This post is specifically directed at the current crop of Cook County judicial candidates and their campaign advisers. Although a number of you are still working to fend off ballot challenges, I assume it’s safe to say that, now that we are finally in 2014, each of you has begun thinking about broadening your base – getting support from voters who don’t know you yet. Getting one’s message out to voters in a county as large as this one is a herculean challenge. Subcircuits may look a lot smaller on the map, but each covers a lot of ground, as those of you who’ve been walking door-to-door (weather permitting) will attest. The enormity of the task before you has become clear, whatever support you are already privileged to have. Each of you has a day job to keep up with – and, in your spare time, you’re still seeking endorsements, filling out questionnaires, and showing up at any event that will have you. You’ve undoubtedly noticed, at these events, that judicial candidates spend a lot of time seeing... each other. You may be getting around, but you’re not always around likely potential voters, at least ones you haven’t already met. I’d like to give you an opportunity to get your message directly to potential voters. I will print any statement that any Cook County judicial candidate cares to make right here on For What It’s Worth. This is the fourth election cycle in which I’ve extended this invitation. In 2008, more than two dozen candidates took me up on this. In 2010 and 2012, only a few candidates did. I hope many of you will take advantage of this opportunity, but (subject to a few provisos, stipulations and rules that I will presently address) I will print what I get, whether I get five statements or 55. When I put up the Organizing the Data posts shortly before the primary, I will link back to any statements I’ve received, providing voters an additional chance to receive your message directly. I make this offer because, when I ran for judge in 1994 and 1996, I would have given my right arm to have had such a forum. Things were different, of course, back then: The Internet was still a largely undiscovered country. I think I was just learning how to use email in those days. But, today, you have the opportunity to reach nearly every single voter in Cook County without leaving your den. You can of course speak to voters directly on your own sites as well, but I am offering you an additional platform, an additional opportunity for voters to find out about you when they start searching the Internet for information about our upcoming judicial elections. You may be wondering what you should say. I don’t know that there is any “right” answer. You can send me a statement of personal philosophy, the stump speech you’ve always wanted to make, the pitch you’d like to make at every voter’s front door, your ‘closing argument’ to the electorate, or whatever else you think appropriate. I’m not going to tell anyone what to say or how to say it. Looking back, I’m not sure what I would have said if I’d had a chance like this 20 years ago. However, I would suggest, as my mother used to say, that you don’t make your own candle shine brighter by trying to blow out someone else’s. Tell voters why you should be elected, not why your opponent should not be. I strongly suggest that it makes sense for you to put your statement in the first person (be personal, use “I” and “me”) because I will run your statement as your statement, under your byline, by Sally Smith, by John Jones. I know some of you are paying consultants to help you craft your message and there may be a temptation to simply delegate this task. Resist that temptation: Get feedback from your advisers before you send me anything, but let your voice come through in your essay. I know writing such an essay won’t be an easy task: As lawyers, we’re used to advocating for a client -- for someone else. It’s not as easy to talk about ourselves. But this is an opportunity for you to define yourself, rather than be defined by questionnaire responses. If I don’t already have your picture, send me a head shot. I’ll run that with the post. I will not edit candidate statements. I’ll print what you send. (That’s why I need an email, to verify what was sent, and by whom.) To see what other candidate statements have looked like, click on the “In Their Own Words” tag at the bottom of this post and start scrolling down. I will only put up one statement per candidate. I realize some of you already have statements of the types solicited here on your own campaign websites. If you ask me to run a substantially similar statement here, or even the same statement, I will do so. I will not pull statements from your site on my own, however. If you want me to put your statement here, you have to send me the statement. I will begin accepting, and posting, candidate essays immediately. Because I will link to them from the Organizing the Data posts, there’s no advantage to delay. And if you do try and wait until the last minute, when I am working on those roundup posts, I may be unable to get your essay posted. I have a practice to attend to as well. To be on the safe side, if you’re interested, please get me your statement within the next 30 days. I do not intend to impose any limit on the statement’s length; presumably you won’t want to compose anything overwhelmingly long. For illustration purposes, my word processor advises me that this post is about 1,000 words long. Listed as hosts for the event are Kathy Byrne, Robert Clifford, Kevin Conway, Keith Hebeisen, Christopher Hurley, Elizabeth Kaveny, and Joseph Power. No particular ticket price has been specified for the reception (I checked), but persons interested in attending are asked to email aheise@cooneyconway.com or call Alison at (312) 236-6166 ext. 223. A campaign website for countywide judicial candidate Stephen J. Feldman (Reyes vacancy) has gone live, the Feldman campaign has announced. That's a link to the site in the preceding sentence; a link has also been added to the blog sidebar. Feldman's campaign website describes his law practice as "general in nature with an emphasis on criminal defense and DUI defense." It also notes that Feldman has served as a Hearing Officer in the Administrative Hearings Department of the Illinois Secretary of State, presiding, according to the website, at more than 1,000 contested administrative hearings. The Feldman campaign has also announced a fundraiser on Monday, January 13, from 5:30 to 7:30 p.m. at Kan Zaman Restaurant, 617 N. Wells Street. Tickets for the event are $50 apiece, but sponsorships are available ($100 - Patron, $250 - Supporter, $500 - Sponsor). Appetizers, beer, wine and soft drinks will be served. For more information, or to order tickets, email Feldmanforjudge@gmail.com. Ninth Subcircuit candidate Michael A. Strom (Preston vacancy), was a guest at a recent taping of Avy Meyers' North Town News Magazine and his interview has now been posted online. Strom's interview will air between January 23 and 27 on CAN-TV in Chicago and on various cable systems in the suburbs. Check your local listings for air times. Meanwhile, with the permission of NTNM host and moderator Avy Meyers and his entire technical crew Sonny Hersh, you can watch the interview here. First District Appellate Court Justice Patrick J. Quinn, first elected to the Appellate Court in 1996, was found unresponsive in his chambers yesterday. He was transported to Northwestern Memorial Hospital, where he was pronounced dead. An autopsy has been scheduled; funeral services have not yet been announced. Links to news coverage: Chicago Tribune, Chicago Sun-Times. Lots of judicial candidates have fundraisers at restaurants. But it is unusual, even when fundraisers are held at restaurants, for guests to be served dinner. Yet supporters of 10th Subcircuit candidate Katherine A. O'Dell plan to serve dinner to their guests at their Wednesday, February 5 fundraiser at Monastero's, 3935 W. Devon Ave. The event is scheduled to run from 5:30 to 7:00 p.m.
Tickets for the fundraiser are $100 each, but sponsorships are available ($500 or $750). Contributors of $1,000 will be deemed Co-Chairs of the event. For more information, or to reserve tickets, contact Diana Bosnjak at kodellforjudge.coordinator@gmail.com or 312-255-0101 ext. 135. The Cook County Clerk's website confirms that petition challenges have been withdrawn as to 15th Subcircuit candidate Diana Embil (Doody vacancy). A petition challenge has also been dropped as to 4th Subcircuit candidate James J. Ryan (Billik vacancy). The Cook County Electoral Board has also overruled a number of challenges, including challenges against 12th Subcircuit candidates James L. Kaplan and Samuel Bae. A challenge to countywide judicial candidate Stephen J. Feldman's candidacy (Reyes vacancy) has also been overruled. Two challenges were filed to Patricia S. Spratt's nominating petitions for the countywide Neville vacancy. The Cook County Electoral Board has overruled one of these challenges, but another remains pending. The Cook County Clerk's website does not yet confirm it, but FWIW has also learned that the challenge to the nominating petitions filed by Judge Sharon Oden Johnson (App. Ct. - Steele vacancy) will also be withdrawn. Per email received this evening, because of the extreme weather in Chicago and the high probability that many people will start the week working from home, tomorrow's Loop fundraiser for 9th Subcircuit candidate Anjana Hansen (Meyer vacancy) has been postponed. The campaign advises that the event will be rescheduled; when it is, FWIW will provide an update. Circuit Court Judge Sharon Oden Johnson, a candidate for the Steele vacancy on the Illinois Appellate Court, was a guest at a recent taping of Avy Meyers' North Town News Magazine and her interview has now been posted online. Johnson's interview will air between January 16 and 20 on CAN-TV in Chicago and on various cable systems in the suburbs. Check your local listings for air times. Meanwhile, with the permission of NTNM host and moderator Avy Meyers and his entire technical crew Sonny Hersh, you can watch the interview here. Favorable bar ratings are not endorsements; endorsements are not the same as favorable ratings. Voters should keep this in mind as they look at judicial candidate websites and try and make informed decisions about who is worthy of their vote. The Chicago Bar Association (CBA) and the Alliance of Bar Associations for Judicial Screening, a coalition of 11 bar associations including the Chicago Council of Lawyers (CCL), the Illinois State Bar Association (ISBA), and the Cook County Bar Association (CCBA), evaluate judicial candidates and issue ratings, offering opinions that this candidate is "qualified" (and sometimes "well qualified" or "highly qualified") or that candidate is "not recommended" or "not qualified." Sometimes the Bar Associations are unanimous in their opinions -- good or bad -- about Candidate A; sometimes the bar associations will split. The Women's Bar Association of Illinois (WBAI) may find a candidate "Recommended," and the Hispanic Lawyers Association of Illinois (HLAI) may find that same candidate "Qualified," but another Alliance Group, the Puerto Rican Bar Association (PRBA), say, looking at the same investigation that all eleven Alliance bar groups considered, may find that same candidate "Not Qualified." Reasonable people may differ. Bar association ratings, no matter how favorable, are not endorsements: None of the bar associations issuing ratings is telling voters to vote for a particular candidate. In a given race, Candidates A, B, and C may all have favorable ratings. That doesn't give a voter much help in deciding which candidate is worthy of their vote. In another, candidates X, Y and Z may all be found "not qualified" or "not recommended." That likewise doesn't give a voter much help in making a decision. Endorsements, on the other hand, are (usually) suggestions that a voter choose Candidate A instead of Candidates B and C. The Cook County Democratic Party makes endorsements. The IVI-IPO and many other community or interest groups make endorsements. A number of labor unions make endorsements. Just to keep voters off balance, a couple of bar associations (not the CBA or any of the Alliance bar groups) make endorsements instead of issuing ratings. Of course, endorsements do not necessarily mean that the group making the endorsement really believes that the endorsee will be a good judge; sometimes it means only that the endorsee, or the endorsee's mother or father, was a long-time, high-profile member of the organization making the endorsement. And sometimes an "endorsement" isn't even a real suggestion that voters choose Candidate K instead of Candidates L or M: In a recent election cycle, one union "endorsed" two or three candidates in every contested race. Some endorsements may be mixed blessings: There are some people who faithfully vote the entire endorsement list put out by (for example) the Fraternal Order of Police; there may, however, be others who would not consider voting for anyone who received an FOP endorsement. In deciding what weight to give an endorsement, it is important for a voter to know what group is making the endorsement, and how or why it makes endorsements. The Tribune may give a line or two of an explanation when it makes judicial endorsements in an editorial; some groups will issue a press release explaining their decisions. Other groups will send a letter or email to their members saying vote for Mary Smith and John Jones -- without ever saying why. I'll report every bar rating for every candidate and every endorsement I can verify here on FWIW, whether or not I can also report the reasons underlying the endorsement. My suggestion is that bar ratings and endorsements are tools for voters to use. It is up to each voter to decide how much weight to give any particular rating or endorsement. Circuit Court candidate Brendan A. O'Brien (Connors vacancy) was a guest at a recent taping of Avy Meyers' North Town News Magazine and his interview has now been posted online. O'Brien's interview will air between January 9 and 13 on CAN-TV in Chicago and on various cable systems in the suburbs. Check your local listings for air times. Meanwhile, with the permission of NTNM host and moderator Avy Meyers and his entire technical crew Sonny Hersh, you can watch the interview here. You might have been too busy hanging (or emptying) your Christmas stocking to notice, but the special judicial filing period closed on December 23 with no one filing to oppose Judge Thomas J. Carroll, the "pre-slated" candidate whose campaign was ignited when Judge Michele F. Lowrance left the Cook County bench. No candidate filed to oppose Judge Carroll in the Democratic Primary; no Republican candidate filed for this vacancy either. Five countywide Circuit Court candidates are now in uncontested election races. In addition to Judge Carroll, Judges Daniel J. Kubasiak (Egan vacancy) and Caroline Kate Moreland (Howse vacancy) are unopposed, as are Maritza Martinez (Burke vacancy), Patricia O'Brien Sheahan (Felton vacancy). David Ellis is also unopposed in his bid for the Murphy vacancy on the Illinois Appellate Court.